You have most probably used cocoa butter numerous times in your life, whether you have realised it or not. You also must have heard of its many applications including ointments, some pharmaceutical products, cosmetics, and chocolate. Cocoa butter is a type of natural vegetable fat which is extracted from the cocoa beans. 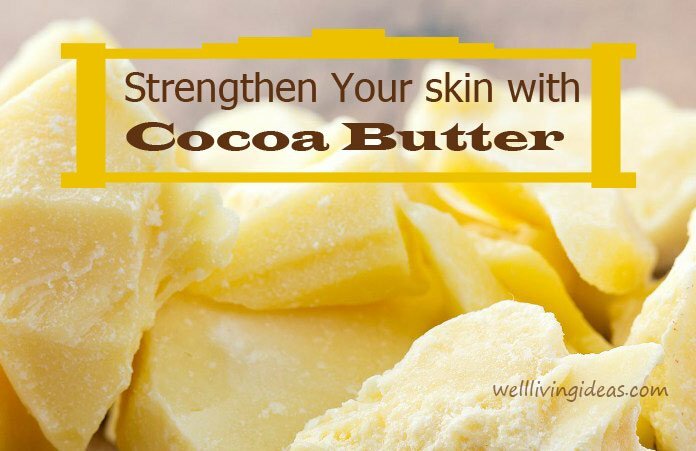 Cocoa butter helps in hydrating the skin and acts as a brilliant skin moisturizer. It helps your skin heal from the inside out. Saturated fats are effortlessly absorbed and remain on the skin for a long period of time, thereby healing dry and cracked skin. Cocoa butter protects the skin from external agents by acting as a barrier for the skin. It has often been recommended by dermatologists for treatment of certain skin ailments such as dermatitis and eczema. You can also choose to combine coconut oil with cocoa butter if you prefer a liquid texture. Some studies have found that compounds like cocoa mass polyphenols help fade away any signs of aging. Cocoa butter contains these compounds and hence cocoa butter can be effectively used as an anti-aging ingredient. Cocoa butter is also rich in other antioxidants like palmitic acid, stearic acid and oleic acid which promotes health both when applied externally on the skin and when consumed orally. These antioxidants also act as mild sunscreen that helps to slow down any process of aging. The only surface of our body that doesn’t moisturize by itself are our lips. This is the reason why we keep reaching out for lip-balms and lick our lips all day. Cocoa butter is most popularly used in home-made lip balms. You can also make personalised flavoured lip balms by using cocoa butter with few essential oils like vanilla, orange, peppermint oil and grapefruit. The caffeine in the cocoa butter will make your lips soft and full. Pure cocoa butter helps in soothing rashes, infections and burns. All you need to do is a rub a small amount of pure cocoa butter on the affected part of your skin. Pure cocoa butter devoid of any alcohol, fragrances or other additives helps in effective skin replenishment. Cocoa butter helps you in moisturising your hair thus providing it with required strength and enriched general appearance. It has also been known for cocoa butter to lessen dandruff occurrence and providing you with healthy hair follicle, thereby reducing the likelihood of hair loss by a great deal. Cocoa butter is a terrific moisturising agent. Rub a small amount of cocoa butter on the inside of your mouth if you develop painful sores. 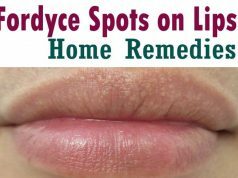 You can also use it to heal lip blisters. Cocoa butter acts as an excellent additive to creams and lotions owing to its creamy texture. You can also use it in a tub to hydrate your skin. Cocoa butter is a wonderful addition to a shaving soap, both for women and men. You can also use it to apply before shaving to prevent cuts and nicks. It will leave your skin feeling smooth and soft. Cocoa butter allows your razor to glide smoothly over your skin and also adds a pleasant fragrance. A hot bath is an effective stress buster. Cocoa butter is an excellent addition to a long hot bath. Not only will you enjoy the soothing fragrance of chocolate and vanilla, your bath would become an incredible retreat from life’s pressure. You can also add a few drops of your preferred essential oils to make it even more pleasurable. You can even choose to make a foot soak for your dry feet by adding few drops of essential oil to a tablespoon of cocoa butter. Some studies have found that compounds like cocoa mass polyphenols found in cocoa butter helps in reducing risk of having a cardiovascular disease as it is known to be a saturated fat derived from plants, which is different from the saturated fats usually reproached for resulting in various heart diseases. Cocoa butter is actually an example of a healthy fat. In addition for cocoa being considered as an anti-inflammatory food, it is also known to aid with fat metabolism and help reduce any risk of heart attacks. Studies show that cocoa butter helps in boosting your immunity system. Research shows that compounds like cocoa mass polyphenols found in cocoa butter use antioxidant powers which fights cellular mutation, inflammation, and DNA damage. You can boost your hormonal balance by imbibing cocoa butter into your daily diet. Cocoa butter benefits few medical conditions such as mood disorders, heart disease, high blood pressure, psoriasis, arthritis, fibromyalgia etc. Although study results regarding the efficiency of cocoa butter as a stretch mark reducer has been pretty mixed, it is listed as one of the most popular uses of cocoa butter on the internet. Many women have disclosed that unremitting application of cocoa butter during pregnancy has what has helped them keep stretch marks away. Researchers are examining the advantages of using cocoa butter to treat bowel functions ailments and chronic constipation. Some studies show that cocoa butter helps in easing constipation. It is said that including cocoa products in our daily diet encourages good bowel functioning and includes healthy bowel movements. Cocoa butter is one of the fats that help in easing constipation. Others include coconut oil, olive oil, ghee etc. It is no news that chocolate helps in managing mood swings during PMS and also is widely known to make people happy. But have you ever wondered what causes this obvious pleasure of self-gratification? Cocoa butter present in chocolate helps in enhancing serotonin and endorphin levels in your brain which perks up your overall temperament. Not many people know this but the drop in a hormone named progesterone is what causes mood swings during menstruation. Magnesium found in chocolates that contain cocoa butter prevents this. Pure cocoa butter is at times called Theobroma Cacao. Theobroma Cacao can sometimes be used for aromatherapy owing to its delightful aroma. Some natural properties of cocoa butter render it suitable for aromatherapy though it is not a carrier oil. Neroli is an essential oil known to combat depression and anxiety. You can blend a couple drops of Neroli with cocoa butter to soothe yourself. You can also choose to fuse red or green mandarin oil with cocoa butter to help you in relaxing and giving you a tranquil sleep. Cocoa butter does wonders for your hair. It helps in keeping your hair soft and healthy. You can use cocoa butter as a hair conditioner by mixing cocoa butter with organic coconut oil, vitamin E oil and vanilla essential oil. 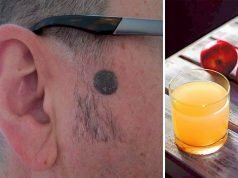 You can rub this mixture on your scalp before going to bed and rinse it the next morning. Cocoa butter makes for an ideal choice for those who want to reduce skin inflammation because of a rich blend of antioxidants and fatty acids in it. Cocoa butter gives you a quick and soothing relief when you apply it on rashes or inflammation. Cocoa butter melts when kept just above the room temperature and thereby acts as a wonderful moisturizer and lotion. It is high in antioxidants and fatty acids and thus penetrates the skin resulting in deep hydration. Cocoa butter helps in keeping your skin moist and hydrated. If you have scars and dry skin due to acne, you may be able to restore soft and smooth skin using cocoa butter. It has been studies and reported that cocoa mass polyphenols inhibits the growth of tumours and cancerous cells by obstructing the creation of inflammatory cells. Thus, it may be used to prevent cancer. Cocoa butter contains antioxidants and fatty acid. It protects your body from aging, ensures great skin quality, prevents cancer and helps in enhancing your immunity system. It also works against diseases such as oxidative and environmental stress, cardiovascular diseases and diabetes. You can make use of cocoa butter in any form according to your preference and choice. Above mentioned are numerous benefits of cocoa butter. Retain it in your regular diet to improve your health. But though it is beneficial for various parts of the body, it has a high percentage of calories and therefore should not be used by people suffering from obesity.